On the 28th of June 2018, the news headlights in Pennsylvania focussed on operators demanding that the state take down online lottery games. Casino operators are even willing to take legal action to ensure the state’s newly-minted online games comes to an end. The grievances of all thirteen casino operators in Pennsylvania stem from the nature of games offered on the online lottery site. While it is truly rare for all casino operators to share the same opinion, it might be best to first look at the gambling law history in this state. 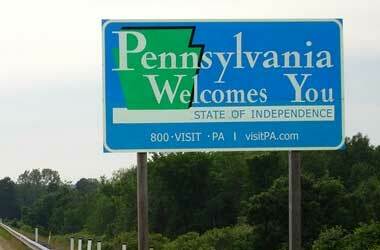 The gambling law in Pennsylvania is in transitions from strict to more liberal, and most believe the reason for the recent efforts to legalise gambling games is a direct result of new gambling venues opening in neighbouring states. When the Pennsylvanian state became aware of the amount of cash flowing to neighbouring states, it acted fast to try and capture some of the money. This led to the legislation of twelve racing venues and casinos within the state. The twelve casino properties employ over 18,000 people and in general generate $1.4 billion in tax revenue every year. Pennsylvania regulates each gambling form a bit different, and therefore it is necessary to understand how the state outlines illegal gambling. The Pennsylvania Gaming Control Board issues licenses oversee all types of legalised gambling and enforce the laws. The PGCB also regulates harness racing, horse racing and tavern games. Slot machines defined by law as antique, manufactured more than 25 years ago are legal. Gambling types such as roulette and poker, strictly prohibited, and illegal gambling is a first-degree misdemeanour, punishable by a fine of $10,000 or five years imprisonment. According to the PGCB code section, 18§5513 gambling is elements of chance, consideration and reward. Although the law is everchanging and one of the biggest breakthroughs for the online casino industry came in October 2017, when Pennsylvania legalised online gambling. Casino gambling in Pennsylvania came into the spotlight in 1990, when the legalising of riverboat casinos was in question, although this law was one of several never passed. The first casino legislation signed into the law was only in 2004, several amendments to the horse track security bill also included the use of slots. The first slots parlour opened in 2006 at the harness track, in the seven years thereafter casino resorts, horse racing with gaming operations and the construction of standalone casino boomed. By 2013, Pennsylvanians had twelve land-based casinos to choose from. These included the Parx Casino that opened as a temporary facility at the racetrack at the end of 2006, and as a standalone casino at the end of 2009. The Harrah’s opened first as a racetrack in 2006 and later added a slots parlour in 2007, while table games followed in 2010. The Mount Airy Casino Resort, as well as The Presque Isle Downs, opened in 2007. The Meadows Casino started out as a temporary casino at the Washington County racetrack in 2007 and opened a permanent casino in 2009. Hollywood Casino opened in 2008, Sands Casino Resort and The Rivers Casino in 2009 and the SugarHouse Casino in 2010. The first category 3 licensed in Pennsylvania went to The Valley Forge Casino Resort in 2012, and The Lady Luck Casino Nemacolin opened in mid-2013. The land-based casino’s properties now offer Pennsylvanians over 1,200 table games and 26,000 slots and in 2012, Pennsylvania became the second largest casino gambling market in the U.S. after passing Atlantic City. In October 2017, Pennsylvania lawmakers legalised online casino games, sports betting, daily fantasy sports and online poker. This was the first step into a new era of online gambling and less than a year late the Supreme Court struck down PASPA to further promote organised sports betting. The costs involved to obtain a casino license are quite steep and with enough interest, it could create quite the kitty for Pennsylvania. With all the available online casino licenses sold it would add up to $250 million since online casino licenses allowing holders to offer poker, slots and table games cost $10 million, licensed to offer one of the three game types costs $4 million and a sports betting licence costs $10 million. Pennsylvania is the sixth most populous state in America, and its population at the 2018 census showed 12.82 million. According to the capita income of median household in Chester at $84,741, in Montgomery $76,380, Bucks $74,828 and in Delaware $61,876, it is clear to see that Pennsylvanians have lots of spare money to invest in entertainment, and therefore hundreds of online casinos have entered the race to attract new members from the state. There are several factors to consider when choosing the best online casinos, although the most important of all is to find a casino regulated and licensed by one of the most respected authorities such as the Malta Gambling Authority, UK Gambling Commission, or the Curacao Internet Gambling Association. The licensing details appear at the bottom of the homepage, together with other important information such as the details of the independent software auditing company responsible for testing all software on a regular basis. Online casinos do not have the same expenses as land-based casinos, and therefore they have a much larger marketing budget. Most of this budget is spent on attracting new members and ensuring that existing players have plenty of reason to remain loyal to one operator. The most powerful marketing tool in attracting new players is the no deposit bonus offering players either a cash bonus or free spins without the need of a deposit. Once players are ready to make the first deposit, they can double their bankroll by accepting a welcome package providing several bonuses across the first three up to five deposits. Online casino members have access to daily, weekly, monthly and surprise promotions and bonus options include cash backs, loyalty bonuses, reload bonuses and free spins bonuses. Most online casino players invest the costs saved from travelling to land-based casinos into their online account, and with generous bonuses, it is quite easy to start playing with doubled funds. The wagering coin variety allows for betting that best suits the player budget, minimum bets start from $0.01 increasable to hundreds of dollars. Online casinos cater to international players, and therefore transactions processing takes place in several currencies. The most popular banking options include credit cards, debit cards, e-wallets, and bank transfers while most online casinos are also cryptocurrency-friendly. Most online casinos prefer that players use the same method to withdraw winnings as used for deposits. The time-period it takes for winnings to reach players bank accounts completely depends on the withdrawal method selected. The fastest options are cryptocurrencies such as Bitcoin and Litecoin offering payouts within a couple of hours, while e-wallet payments are within 12 hours and debit/credit cards can take between 3 up to 5 business days.